Am I really in Zambales? That was the thought that was running through my mind as I wandered across the island of Magalawa—my feet sinking into the soft white sand, the sea breeze gently ruffling my hair. Across the horizon, boats the size of matchboxes, slowly parted the sea. The water was calm, extremely calm, the total opposite of what I thought the waters of Zambales are. It almost felt like I’m on one of those islands somewhere in the Visayas, famed for their beaches. 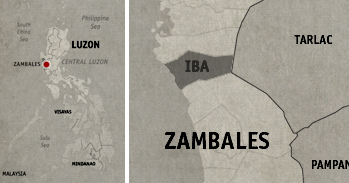 Am I really in Zambales? I pinched myself. I really am! It was with extremely full tummies when we headed off for the beach. We just finished a table-full of dishes plus some as part of our Zambales food trip. The province of Zambales is laid out along the shores of the West Philippine Sea, and is slowly working up a name for surfing. 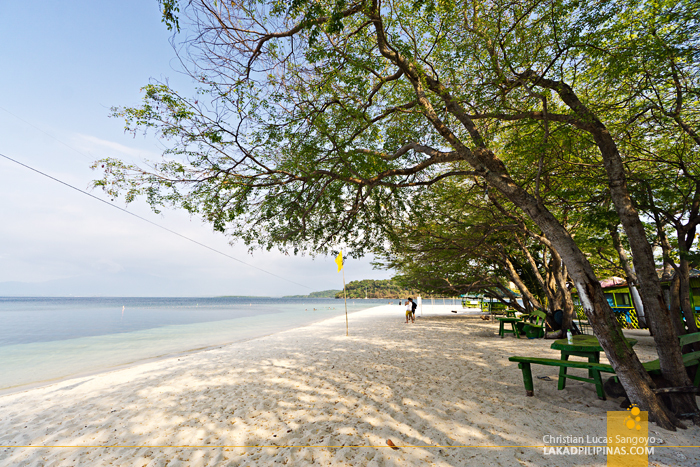 And then there’s also Anawangin and Nagsasa Cove, two of the most beautiful beaches readily accessible from Manila. But we’re taking a different route, we’re going to Magalawa, an island that’s relatively off the radar from the weekend tourist crowd. The drive from Iba to the jump off to Magalawa Island by car takes about an hour and a half. 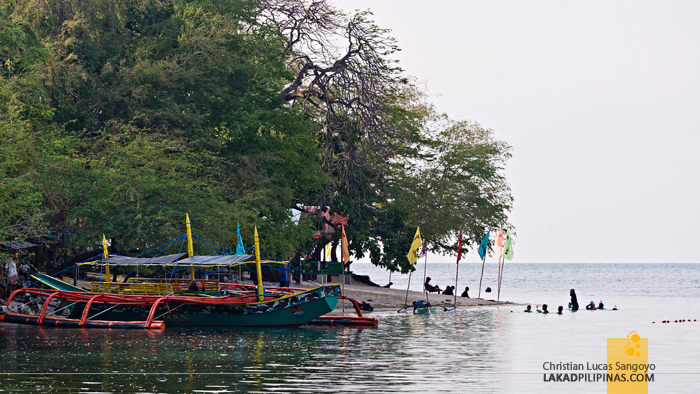 The makeshift port is located at Palauig’s Barangay Luan. 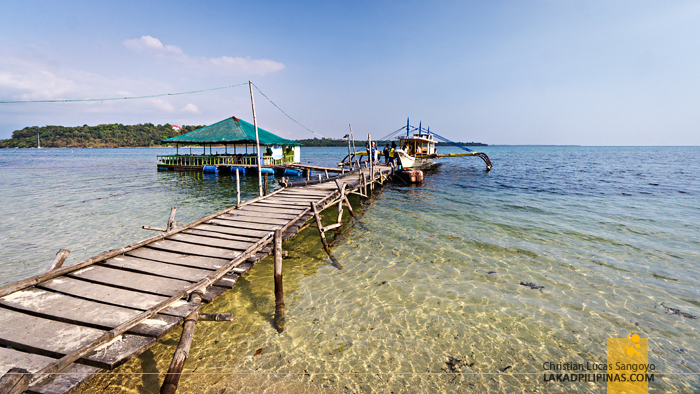 It is also possible to commute going to Magalawa Island. Commuters can take a Victory Liner Bus from Manila (PHP 450.00 +/-, about five to six hours ride) or UV Express vans from Olongapo and alight at the Radio Veritas Road in Barangay Pangolinan in Palauig. Make sure to tell the conductor or driver where you’re alighting so you won’t miss your stop. 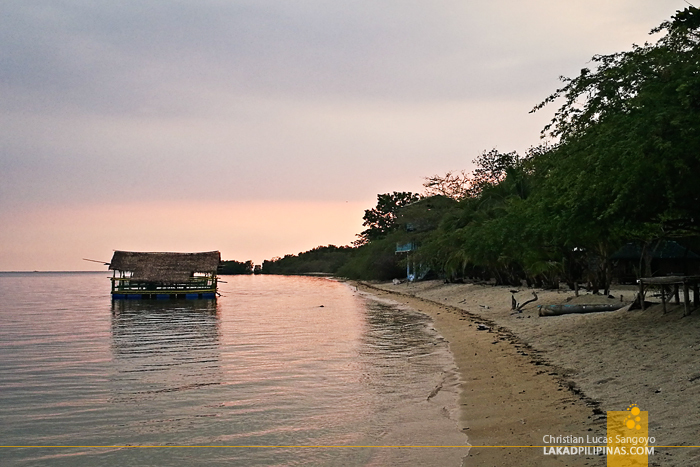 From the highway, take a tricycle to the Oslet Armada Fishdealer Compound in Barangay Luan (PHP 100.00 per tricycle, good for two persons), then board a round-trip boat to Magalawa Island—which is usually provided for by the resorts. The boat ride lasts for about twenty minutes on calm waters. 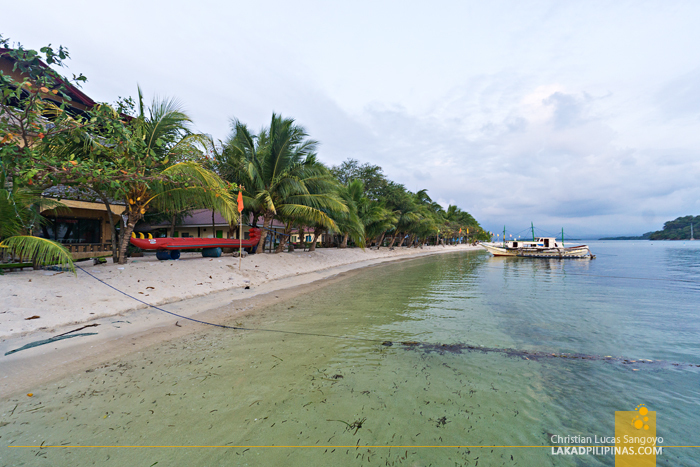 There are two main resorts in Magalawa Island, Armada and Ruiz, and these two have different ports in Barangay Luan—they’re within striking distance of each other. We chose to go to Armada, hearing they have a better beach area and even a sandbar. Magalawa Island, 56 hectares in area, actually has a few more beaches than these two. Looking at it from above, the north eastern part going to the west is fringed with white sandy shores which goes on until the small settlement on the island. It then continues to the Ruiz Beach Resort on its western side, then loops down to the Armada Resort on its southwestern side. 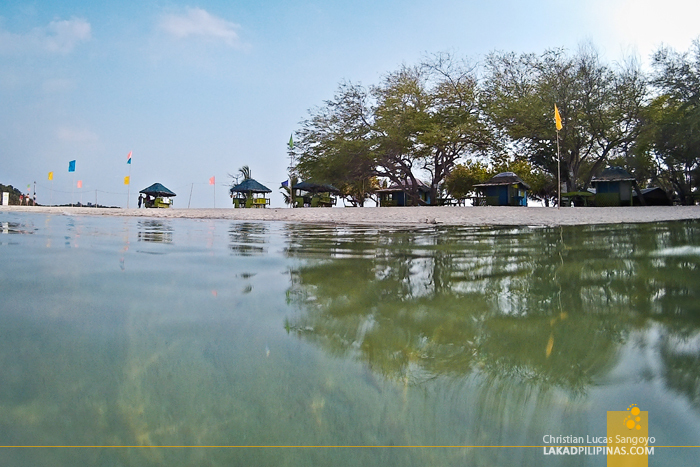 After a leisurely boat ride, we alighted at Armada Resort’s rickety boardwalk and marveled at how clear the waters were. We’re all excited to jump in, but first, a briefing was in order. I like how organized and protective the owners of the resort are with Magalawa and its serene atmosphere. Guests aren’t allowed to play music (use your earphones), camp and have bonfire on the beach (they have a respective camping area), and swim during the night due to unpredictably strong currents. They have several sleeping options in the resort from tents (you can also bring your own), kubo (fan), tree house (fan), and regular rooms with fans and air-conditioning. The thing to note is that all these are set on packages which includes two-way boat transportation, entrance fee, meals (you can still bring your own food and drinks), snorkeling, and accommodation fees. The day tour rates start from PHP500.00 to PHP1,500.00 per person. For overnight rates, it starts from PHP1,400.00 to PHP3,000.00 per person. Their three days and two nights rates starts at PHP2,400.00 up to PHP4,000.00 per person. The rates depend on how many you are in the group and the accommodation type you’re renting. Children four years below is free of charge, while those from the ages of five to nine are charged half the fee. 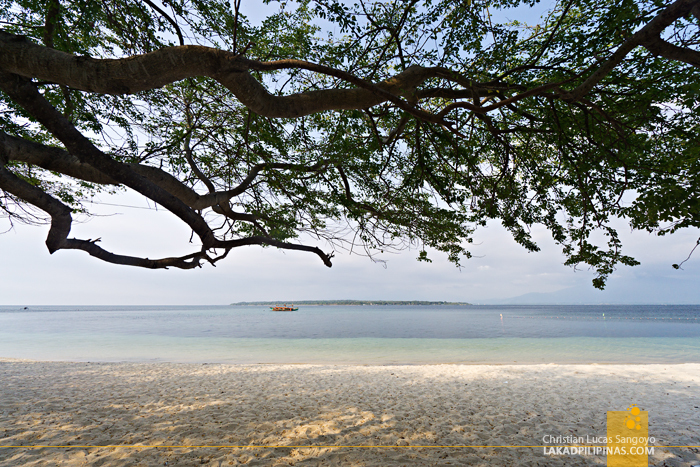 Magalawa Island has generous stretches of fine white sand with extremely serene waters. Some parts have strong currents, but these are clearly marked by buoys—swimming areas are clearly delineated. 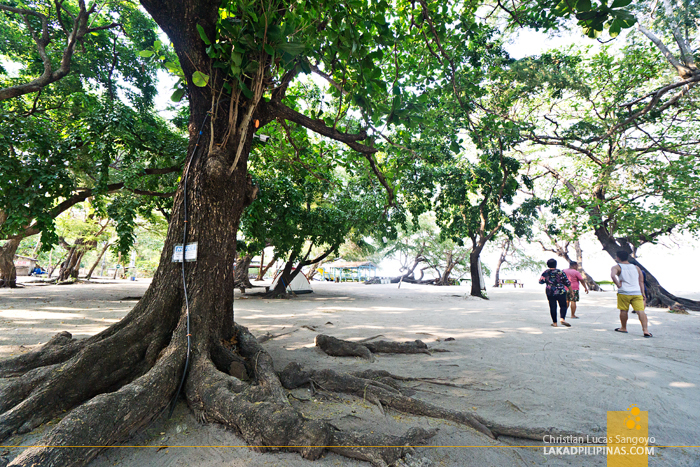 On the shore, trees abound, making it great for those wanting to roll up a blanket and have a picnic by the beach. Huts are also readily available. The water feels warm to the skin and clarity varies from extremely clear to a bit murky. 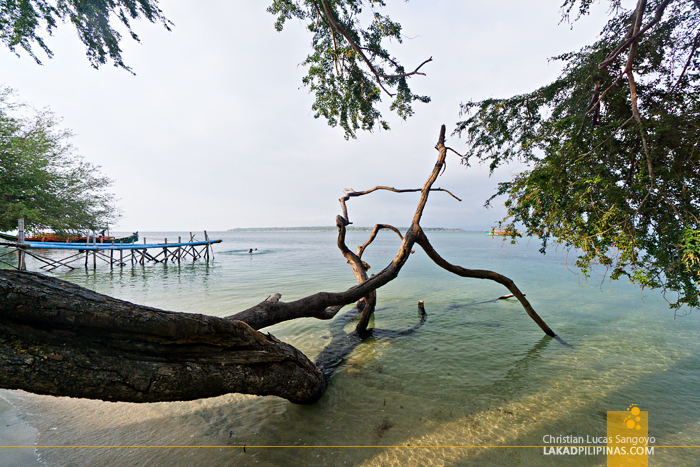 The seabed near the shore is purely sand, perfect for swimming on bare feet, there are hardly any rocks or corals. 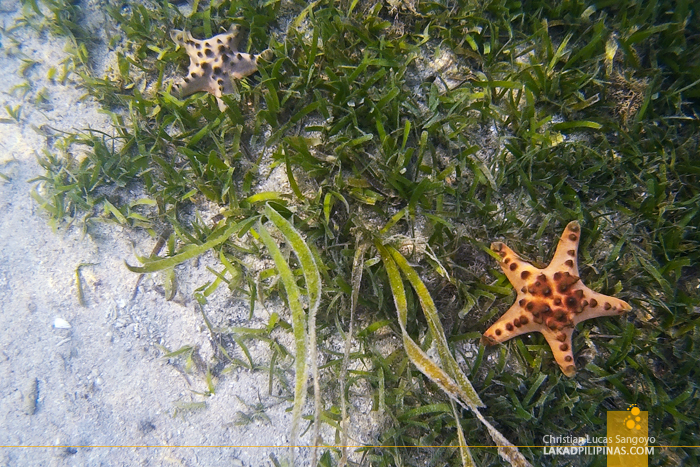 It then transforms to short sea grasses replete with star fishes a few meters after. I enjoyed a bit of snorkeling on the cordoned swimming area, but their snorkeling area is much better, with corals and giant clams or taklobo. 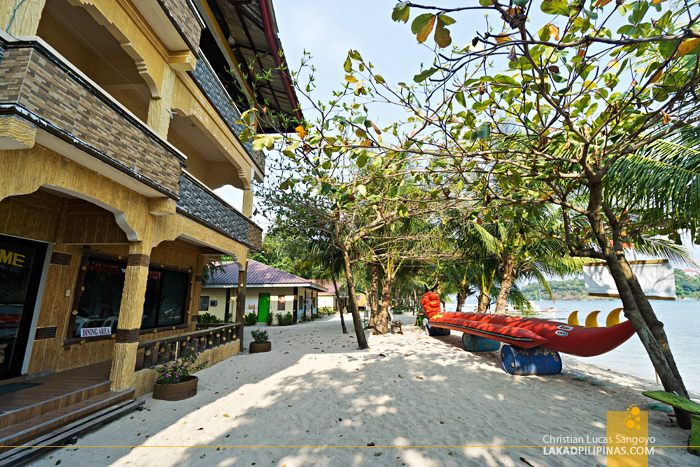 You’d, however, need to ride a couple of minutes by boat, provided by the Armada Resort, to reach it. Sadly, we lacked the time to do this. Still, our stay at Magalawa Island was quite enjoyable. 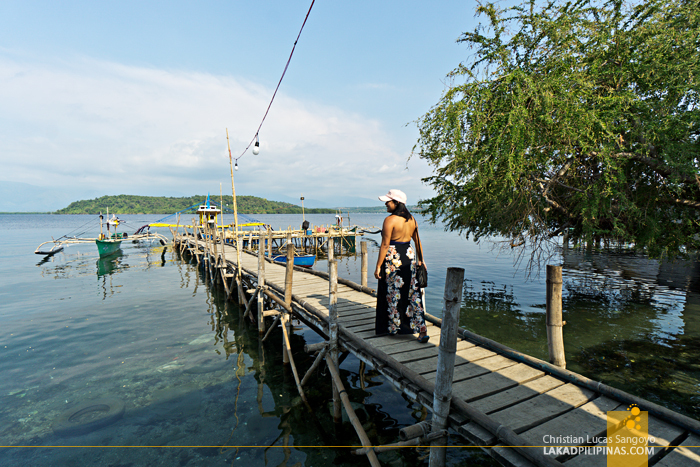 The place is very peaceful and relaxing, the perfect respite after the adrenaline-filled days of the Dinamulag Festival.